Cleanmarine Krill Oil for Kids provide all the benefits of Krill Oil in a smaller 200mg softgel capsule specifically for children. 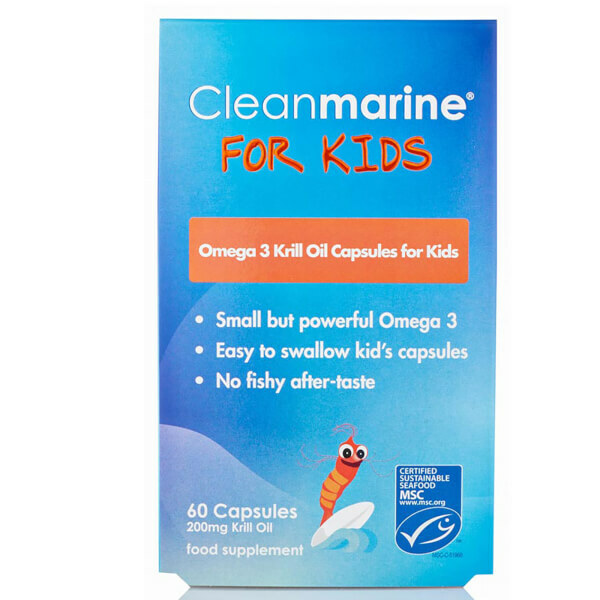 It can be a challenge making sure your child has a balanced diet and so these easy-to-consume supplements provide the perfect dose of Omega 3 fatty acids, which contribute to healthy heart, brain, eye and joint function as well as helping to enhance moods and improve concentration. 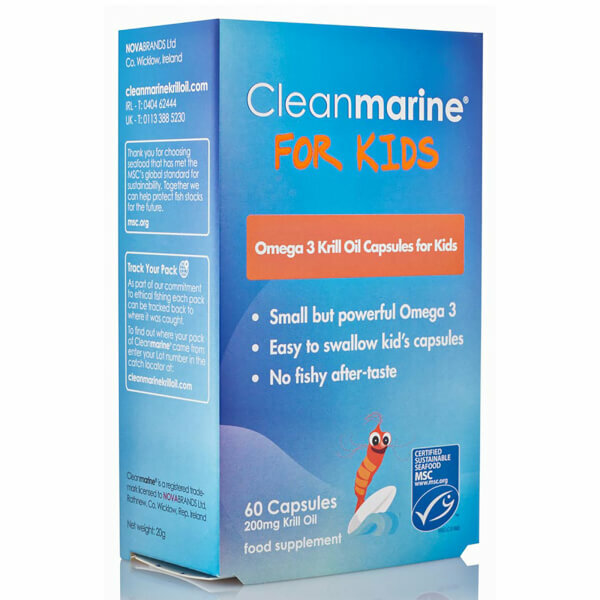 Under 10 years: Take 1 capsule daily. Over 10 years: Take 2 capsules daily. Euphausia superba 200mg (Krill Oil, 60%, Crustacean), softgel capsule (fish gelatine, glycerine, water).